Sunshine and a few clouds. Slight chance of a rain shower. High 62F. Winds SE at 5 to 10 mph..
RACINE – Rodolfo “Rudy” Renteria, Jr., age 80; beloved husband of the late Sarah (nee: Gonzales) Renteria; dear father of Ilda (Robin) Dresen, Rodolfo (Theresa) Renteria III, Daniel (Carrie) Renteria, Richard (Laura) Renteria, Esmeralda (Dwayne) Dietrich, Gloria Renteria and Nicholas Renteria; and father-in-law of Bertha Renteria; passed away peacefully at The Villa at Lincoln Park, surrounded with the love of his family, on Thursday, February 7, 2019. A celebration of Ted’s life will be held on Thursday, February 14, 2019 at 12:30 P.M. at the Wilson Funeral Home with Reverend Mike Steinke, Reverend J.C. Quello, and Reverend Allison Johnson all officiating. Family and friends are invited to a time of visitation from 10:00 A.M. until the time of service. A private interment will be held at Country Haven Cemetery. In lieu of flowers, memorials may be directed to Journey in Faith Church (7330 Old Spring Street, Mt. Pleasant, WI, 53406) and /or South Shore Fire and Rescue (3900 Old Green Bay Road, Mount Pleasant, WI, 53406). Please see the Wednesday, February 13 newspaper for Ted’s full obituary and/or visit www.wilsonfuneralhomeinc.com to view the full obituary as well sharing online condolences. BURLINGTON—Deborah B. Stevenson, age 66, passed away on February 7, 2019. Visitation will be held on Friday, February 15, 2019 from 4-6 pm at Grace Church, 30623 Plank Road, Burlington, WI. Funeral services will follow, officiated by Pastor Scott Carson. RACINE—Inga Harrits, 91, passed away on Friday February 8, 2019 at Bay Harbor with her family by her side. Memorial services will be held at Lutheran Church of the Resurrection, 322 Ohio Street on Wednesday February 13, 2019 at 11 a.m. Visitation from 10 a.m. until time of service. Memorials to Lutheran Church of the Resurrection has been suggested by the family. RACINE – Phyllis I. (nee: Quandt) Orth, age 71; beloved wife of Joseph G. Orth; passed away peacefully, surrounded with the love of her family, on Saturday, February 9, 2019 at Hospice Alliance – Hospice House in Pleasant Prairie. Funeral Services celebrating Phyllis’s life will be on Friday, February 15, 2019 at 11:00 am in Racine Bible Church, 12505 Spring Street. Entombment will follow in West Lawn Memorial Park. Visitation will be in the church on Friday from 9:30–11:00 am. Please see Thursday’s edition of the newspaper for the complete obituary. 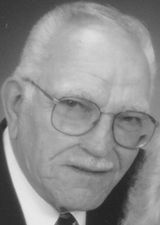 RACINE—Marven Dean Quale, age 94, passed away on February 9, 2019 surrounded by family. He was born in Mondovi, WI, November 19, 1924, son of the late Henry and Vera (Nee: Crawford) Quale. Marven “Marv” served in the US Military over a 22 year career, during three wars, including; World War II, Korean War & Vietnam War (1944-1966). Marv served active duty in WWII, was stationed in the South Pacific, from 1944-1946, as a member of the US Naval Amphibious LCT Flotilla. Marv also served active duty in the Korean War. His Battalion was stationed in Japan when the Korean War began; they were some of the first troops with “boots-on-the-ground” as members of Task Force Smith. Their goal was to establish a defense perimeter and they (24th Infantry Division, 63rd Field Artillery Battalion) fought in some of the initial battles of the Korean War. Marv also served in active duty during the Vietnam War. He was stationed at various base camps, including France & New York during the Vietnam War. Marv retired from the US Army in 1966 with the rank of Sergeant First Class. On April 6, 1957, at Emmaus Lutheran Church in Racine he was united in marriage to the love of his life, Patricia (Meyer) Kubes. His military career moved him and his family around the country before settling in Racine in 1966. Back in Racine he was employed by Massey-Ferguson Inc for 20 years retiring in 1985. Marv enjoyed fishing, deer hunting and was a loyal Packer fan. He will be dearly missed. Surviving are his wife of 61 years, Patti; 7 children, James R. (Adele) Kubes–Quale, Deborah L. (James) Eichhorn, William T. Quale, Donald D. Quale, Michael H. (Laura) Quale, Gary D. Quale, Mary Jo A. (Joseph) Johnson; 10 grandchildren, Jonathon Quale-Smith, Denise and Eric Eichhorn, Danielle, Donald Jr. and Deanna Quale, Maximillian and Samuel Quale, Jenna and Joseph Johnson; 5 great grandchildren, Kadrien, Giselle, Caiomhe, Jiah and Harper; 2 sisters, Harriett (Steve) Freeman, Geraldine Suprak-Merrill; nieces, nephews, other relatives and dear friends. In addition to his parents he was preceded in death by his brother William H. and an infant sister Judith. William H Quale, Marv’s younger brother, was a casualty of the Korean War; he was killed in action on Sept. 4th 1950, serving as a member of the 15th Quartermaster Company, 1st Cavalry Division, of the US Army. The family wishes to extend a special thank you to Russ’s Tap for providing his home away from home. Funeral services will be held at the Maresh-Meredith & Acklam Funeral Home, Wednesday, February 13, 2019, 6:30 P.M. Relatives and friends may meet prior to the service 4:30 p.m. until 6:30 p.m. Private interment with full military honors will be held at Southern Wisconsin Veterans Memorial Cemetery, Town of Dover. In lieu of flowers memorials to the family have been suggested. BURLINGTON—Dorothy P. Winkler, 90, of Burlington, passed away Friday, February 8, 2019 at Oak Park Place. Born in Burlington on May 10, 1928, she was the daughter of Raymond and Hazel (nee Berg) Potter. She attended a one room school house in Vienna, near Honey Lake and graduated from the Racine County School of Agriculture. On November 14, 1949 at Rochester Congregational Church, she was united in marriage to Robert C. Winkler. Following marriage, they made their home in Rochester before moving to Burlington. She has been a resident of Burlington since 1954. Dorothy is survived by her children, Garry Winkler, Gregory (Vicki) Winkler and Gayle (John) Koch, all of Burlington, and Gloria (Douglas) Holmes of Franklin, North Carolina; grandchildren, Ryan (Suzanne) Winkler of Lacrosse and Christopher (Tara) Winkler of Elkhorn; great-grandchildren, Liam, Lucy, Eli and Oliver Winkler; and sisters, Maryon (Ralph) Tharp and Sharon (James) Vandesand. She was preceded in death by her parents, brother Kenneth Potter, sister Joyce Alberti and brothers-in-law Andrew Alberti and Phillip Fell. Caledonia, Feb. 10, at his residence, Maresh-Meredith and Acklam Funeral Home, Racine. Racine, Feb. 9, at Lakeshore at Siena, Purath-Strand Funeral Home & Crematory, Racine. Racine, Feb. 9, Hospice Alliance, Pleasant Prairie, Draeger-Langendorf Funeral Home and Crematory, Mount Pleasant. Burlington, Feb. 8, at Oak Park Place, Schuette-Daniels Funeral Home & Crematory, Burlington. RACINE—Eduardo “Eddie” Gonzalez, Jr., age 76, passed away peacefully at home, surrounded with the love of his family, on Thursday, February 7, 2019. RACINE—Thomas L. Wiedenhaft, 68, received the promise of eternal life on Saturday, February 9, 2019. A memorial celebration of Tom’s life will be held on Saturday, February 16, 2019, 12:00pm, at Draeger-Langendorf Funeral Home and Crematory, 4600 County Line Road. Visitation will be from 11:00am until the time of the service. Please see Wednesday’s newspaper for the full obituary.